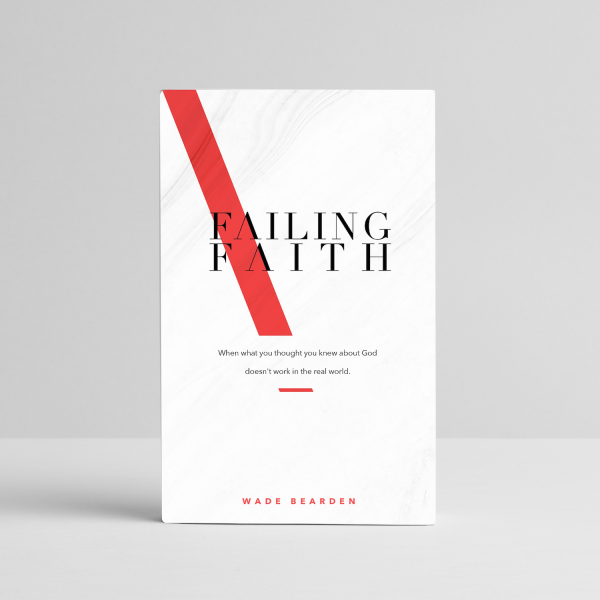 A full-length book from Wade Bearden, Failing Faith is a humorous, heartbreaking, and penetrating memoir about pain, suffering, and spiritual doubt. Email info@wadebearden.com for information on bulk orders. Wade Bearden thought he had faith figured out. He grew up in church, read through the entire Bible by age ten, and even did puppet shows to positive Christian music. As a young adult, he became a pastor and taught theology classes at a local university. But after watching friends die, losing two jobs, and seeing his own father diagnosed with cancer, Wade found his faith failing. He realized that his ideas about God were far too comfortable. They were good excuses to be safe and affluent, but not anything that could stand up to disappointment and suffering. Somehow, along the way, he had traded an ancient, powerful Christianity for a Christianity made in the image of success and well-being. 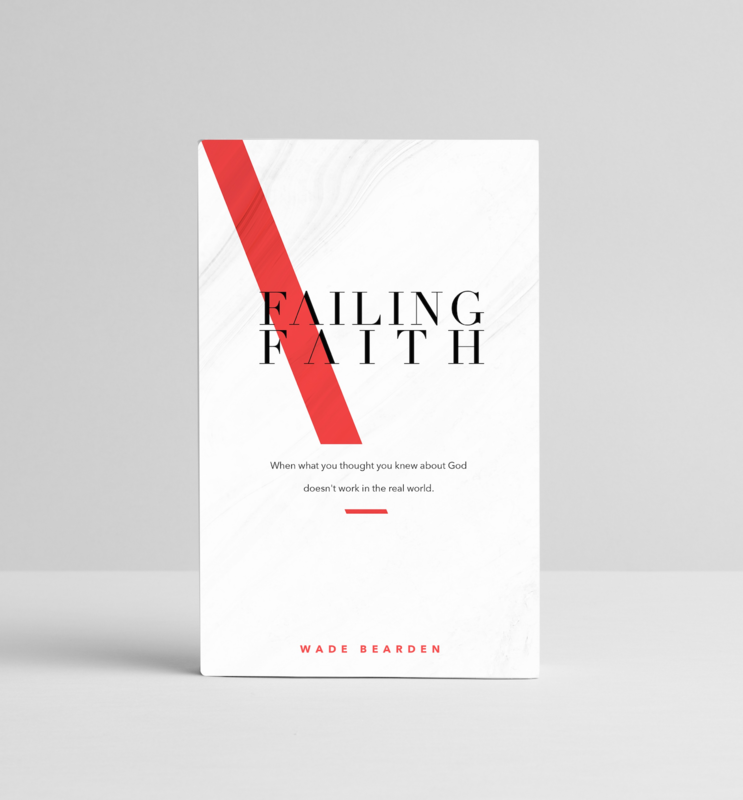 In Failing Faith, Wade uses humor and stories of personal pain to detail his journey to recapture what was lost—his journey to find a richer, more meaningful faith that bears the weight of depression, loss, and even comfort. For anyone whose faith was crushed by the real world. For anyone trying to reconcile a loving God in the midst of sadness. For anyone looking for a faith that finds its roots in Jesus rather than the American dream. Failing Faith is a unique, emotional, and often funny take on what it means to be a follower of Jesus in a dark, materialistic world. Note: If you would like a signed copy, please designate in “Order Notes” who you would like Wade to make the book out to. This product typically ships in 3-5 business days.